Getting a new key onto a key ring doesn’t sound like such a big deal – until you actually try to do it. The fingernail-splitting proposition is frustrating at best, which is why Amron Experimental decided to re-think the whole format of the key. 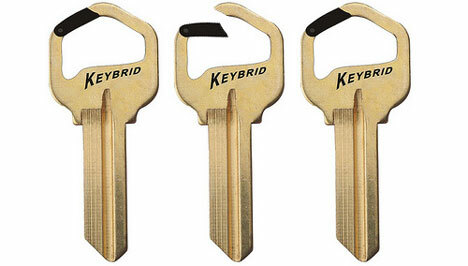 They added a carabiner top to a standard key blank, making it simple to clip your key onto just about anything. 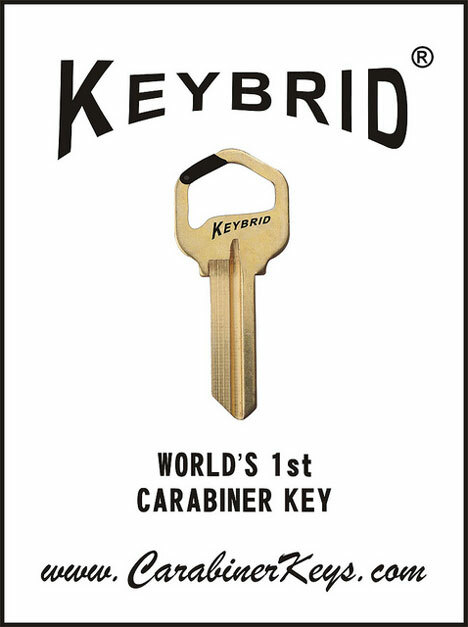 It’s a real key blank that can be cut just like normal at any hardware store – though it will cost you a little more than a standard key blank. Ease of adding keys isn’t the only benefit of this ingenious mash-up. Think about how hard it is to keep your keys on you but secure when you go out for a jog or to the gym. Instead of having to carry an entire loaded key ring or put your house key on a string around your neck, the carabiner key would let you simply clip it onto your belt loop or shoelaces. Then just snap it right back onto your all-purpose key ring when you get home with no threat to your fingernails. See more in Various Gizmos or under Gadgets. August, 2011.